Virtuoso is a digital sheet music device that is changing the way musicians play. 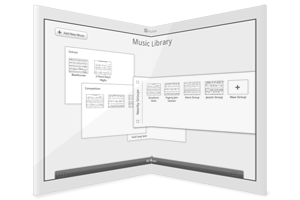 Designed to replace a musician's sheet music collection, Virtuoso brings smart technology to the simplicity of paper. The Virtuoso SmartPen™ is the easy way to mark your music. Tapping the page with your finger usually plays back music, but writing on the page using the pen makes markings. Using the tip of the pen writes notes and using the eraser end erases notes. You can switch between writing and highlighting by using the toggle on the pen. 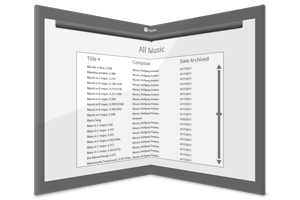 When playing with multiple Virtuoso devices, musicians can synchronize their music, so notations made on one device copy themselves to the right spot on everyone's page, making collaboration simple.